Wedged in a tight canyon in the San Juan Mountains of southwestern Colorado, unassuming little Ouray—population 1,000—doesn’t brag. Well, maybe a little. Actually it claims to be the "Switzerland of America," which isn’t much of a stretch for this former mining town, whose hills are filled with a mother lode of adventure. Think steep rock walls, rugged wilderness, high mountain peaks, a world-class ice park, and hot springs that bubble up from under the earth. And it’s all about a six-hour drive from Denver or Boulder. This quaint town, whose colorful Western storefronts and tidy grid of streets woo with historic charm (downtown is even designated a National Historic District), makes the perfect home base for a weekend filled with adventure. 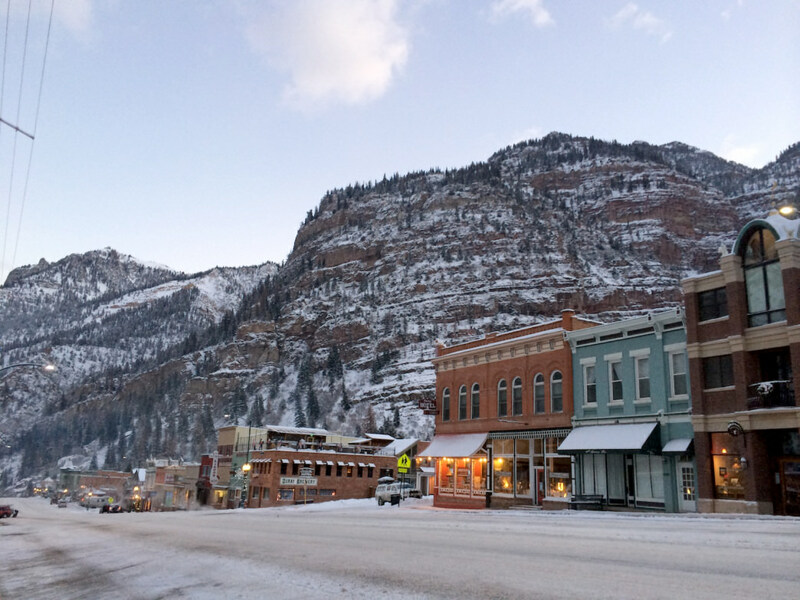 Here, 10 ways for you to explore the hills surrounding Ouray. The Ouray Ice Park snakes through more than a mile of the steep and shadowy Uncompahgre Gorge, rightfully earning its place as one of the top ice climbing spots in the country—if not the world. The park’s ice farmers carefully coax drips from 7,500 feet of irrigation pipe to create more than 200 ice climbing routes, all within walking distance of town. If you’re new to the sport, learn the ropes from San Juan Mountain Guides. 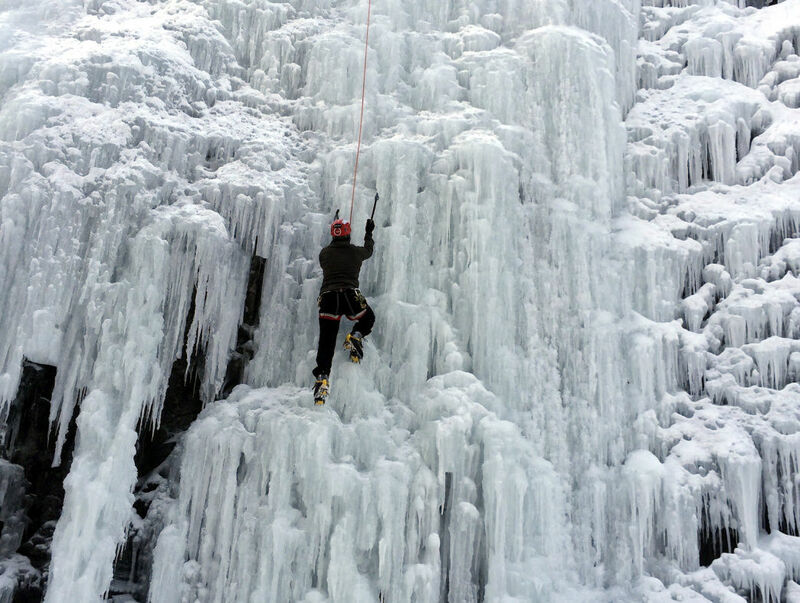 Also consider checking out the annual Ouray Ice Festival in January. The San Juan Mountains are renowned for being rocky, rugged, and steep. To see this for yourself, scramble way up 14,150-foot Mount Sneffels, the highest peak in Mount Sneffels Wilderness, a 16,500-acre expanse between Ouray, Ridgway, and Telluride. If your car can make it to the upper trailhead, the route is relatively short but steep (and lung-busting). Be prepared to ascend a gully choked with loose scree. 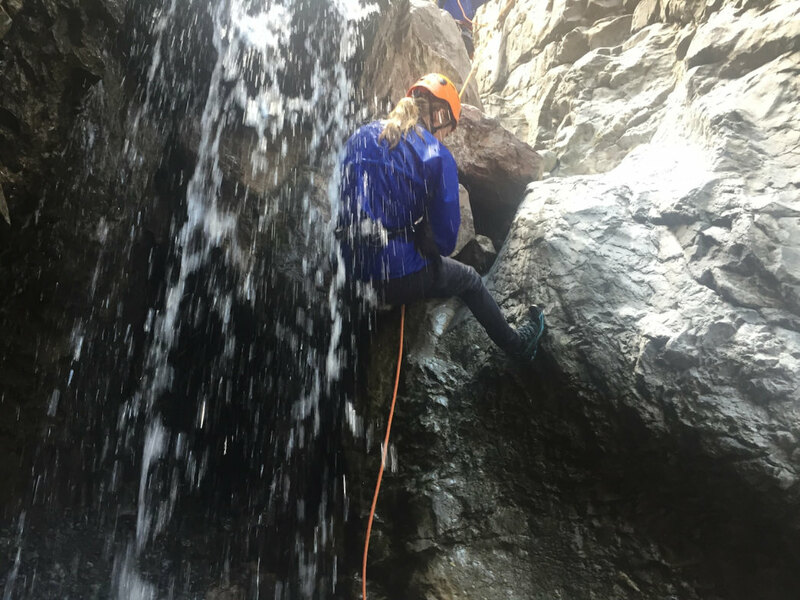 With waterfalls lacing through deep gullies that drain into town, Ouray is an ideal spot for canyoning. Prime your adrenalin pump for this wet and wild thrill, which involves rappelling down rapids and scurrying through the bottom of canyons. Being in the mountains takes on new meaning when you’re slithering through rocky ravines and cascading down ribbons of water. If your legs are primed for pain, consider tackling the Hardrock 100. This 100-mile trail race with just over 66,000 feet of elevation change is considered one of the toughest in the world among ultrarunners. It starts and ends in Silverton, looping through Lake City, Ouray, and Telluride. Before embarking on this sufferfest, consider taking some tips from Darcy Piceu, who has won the race three times. 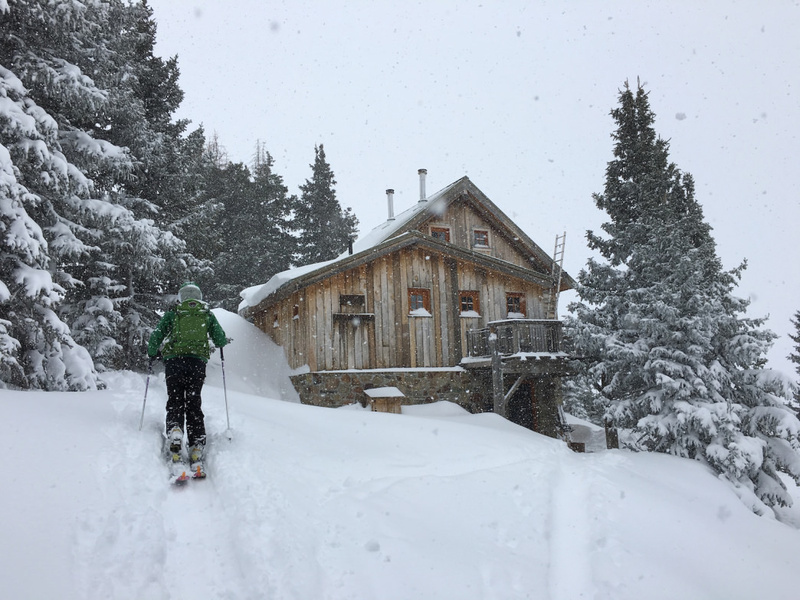 There are tons of backcountry huts in Colorado, but none is so pampering as OPUS hut, a European-style retreat that offers bedding, a sauna, and home-cooked meals (with bar service to boot). Skin 3.5 miles and 1,800 feet from Red Mountain Pass to this hut, where you can bunk down for the night. Then get up early to nab freshies on terrain that ranges from low-angle glades to wide-open bowls and gnarly couloirs. More than 70 rock-climbing routes snake up the Pool Wall, whose blonde sandstone cliffs are across from the hot springs pool in town. A short approach leads to a selection of trad and sport routes that range from 5.5 to 5.13+. Pop into Ouray Mountain Sports to get beta and pick up a Ouray Rock Climbing Guide. 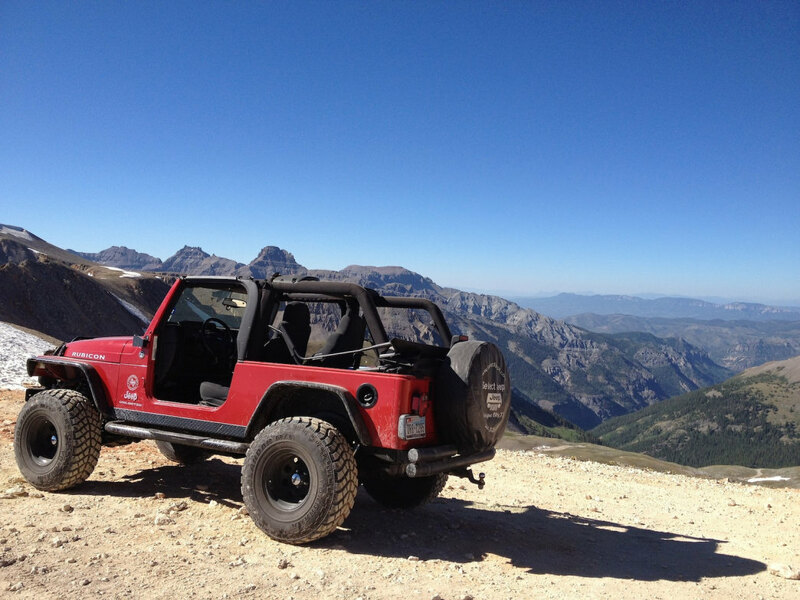 Since the 1940s, four-wheel drive fanatics have flocked to Ouray, which claims to be the Jeeping Capital of the World. Imogene Pass is a good place to test your mettle (or metal) as it snakes up loose, rocky slopes to the top of the 13,114-foot pass, the second highest in Colorado. Do this as an out-and-back, or keep going down the other side into Telluride. The full trip is 17 miles one-way. 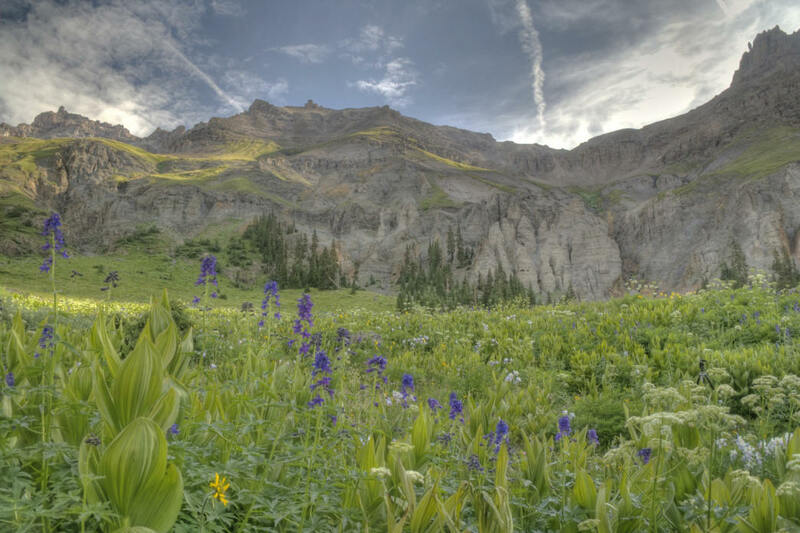 As if Ouray didn’t already claim enough superlatives, it also puts on one of the best wildflower shows in the state. Topping the list, Yankee Boy Basin explodes with color in the peak of summer. From Ouray, head south to Camp Bird Road to the Yankee Boy Basin Trailhead (a four-wheel drive road that’s an adventure in itself). Then head up the trail toward Blue Lake Pass, where you can peer down over the three Blue Lakes. What better way to relax after a day of adventure than by soaking in hot springs? The Ouray Hot Springs Pool is sulfur-free (read: not smelly) and will unveil totally renovated pools in mid 2017. In the meantime, check out the vapor caves at Weisbaden Hot Springs Spa downtown or book a room at the Box Canyon Lodge and Hot Springs, which has pools on terraced decks behind the motel. Hit up Roast & Toast to grab a quick breakfast sandwich or burrito in the morning, or scrumptious salads and sandwiches for lunch. If sugar and caffeine is all you need, Mouse’s Chocolates & Coffee is the place, with an outrageous collection of handcrafted chocolates that might make you drool all over the display case. 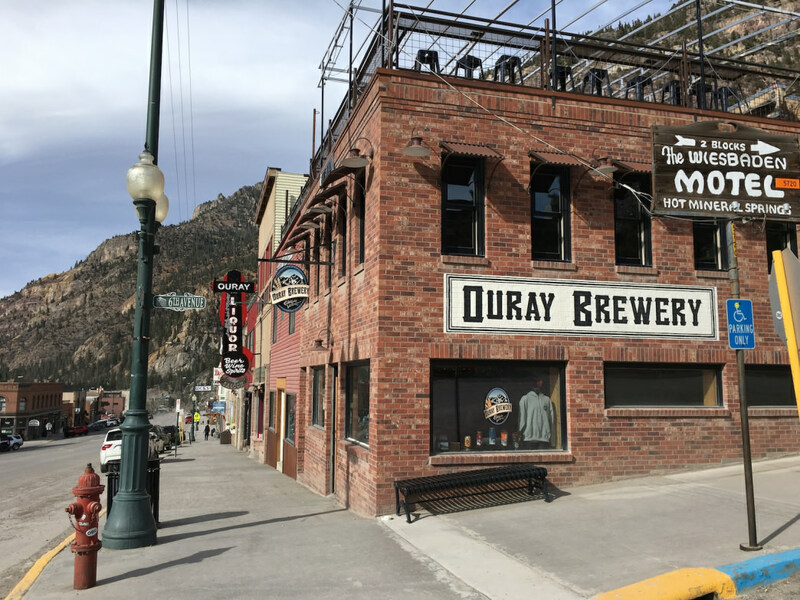 When it’s time to wind down after a day of hard charging, head over to the Ouray Brewery for handcrafted ale and pub food. Or if you’re hankering for Mexican, Buen Tiempo is the place. The spinach enchiladas are especially nice.